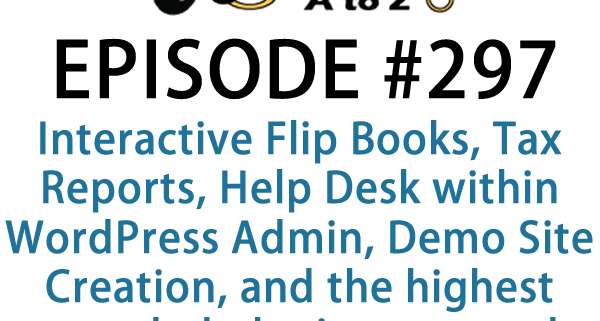 It's Episode 297 and we've got plugins for Interactive Flip Books, Tax Reports, Help Desk within WordPress Admin, Demo Site Creation, and the highest regarded plugin I've ever used. It's all coming up on WordPress Plugins A-Z! Thank you for the work you do John and Marcus. I completely agree with giving each client ssl for their website. We've standardized on all new sites being SSL and are working through our existing clients to switch their sites over too. There was an interesting discussion on ep444 of risky.biz about the consequence of having free ssl https://risky.biz/RB444/ and a reply of sorts from lets encrypt https://letsencrypt.org/2015/10/29/phishing-and-malware.htm l in essence the issue is that nefarious phishers can setup ssl for their wonky domains and trick people into clicking on them and thinking hey its a padlock must be safe. Better to ssl than not to ssl anyway. This donation is on behalf of SRO Group – https://www.srogroup.com.au who design and manufacture electrical switch rooms and power distribution systems. There are some big changes coming to WP Plugins A ro Z, thanks to David who has joins us by supporting the show with his time to help improve it. He has been checking out how you the listeners have been using the site. With his help and some suggestions for changes that will be coming soon we will make this one fantastic show and a website worth going to for WordPress information. Listen at end of show as I talk about the changes in my life that have and are happening to find out about a whole new world of crazy. Marcus is very happy with the new Envato Elements subscription site. The site is community driven and contributors are paid based on downloads of their content. It's a great place to find graphic elements, html templates, powerpoint and printing templates and all kinds of fonts, 3D objects and banners. Since I've been a subscriber in the last 3 months, I've actually used at least one of their elements in each of the different web sites I've developed. It costs $29 a month and is well worth it. I have been following your blog for quite some time now. I have always held your work in the highest regard. 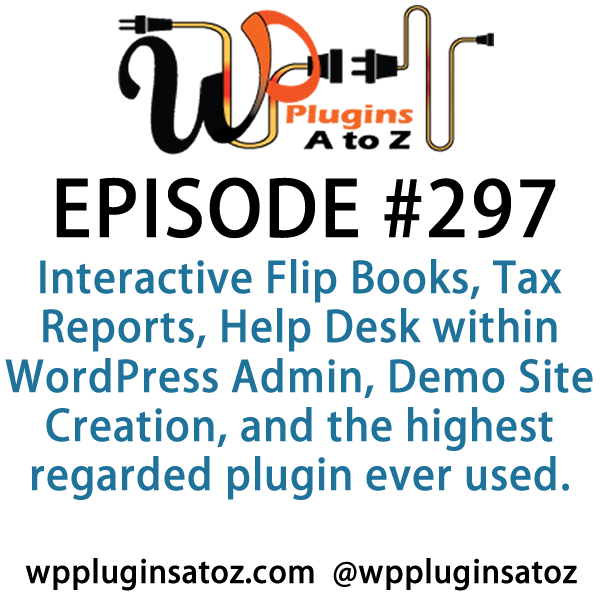 The work that Wppluginsatoz is doing is helpful toward the WordPress community. That's what I am doing with WPblog. With the help of few contributors, we have started a new blog about WordPress and we love to write detailed tutorials about WordPress. 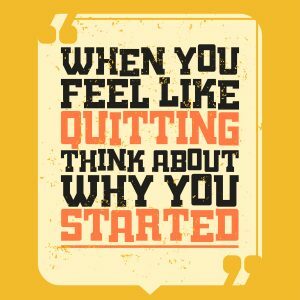 However, we love the WordPress community and each week we list the best tutorials in our roundup ( https://www.wpblog.com/wordpress-weekly-news-007/ ) . We would love to have your presence there. Suggest a few to us for this week's roundup. I have a couple of bits of podcast advice for you. Take it for what it's worth. Basically, his philosophy is that he gives away his podcast content for free in order to create a following and to establish himself as an expert, which translates into sales for his consulting business and his products. The podcast will even sometimes include promos for his upcoming classes, but otherwise his +/- 1 hour show is valuable information for his listeners. And I think you may already be beneficiaries of this idea. I don't know where your business comes from, but whereas you used to advertise your services on the show, you now have so much work you don't do that anymore. 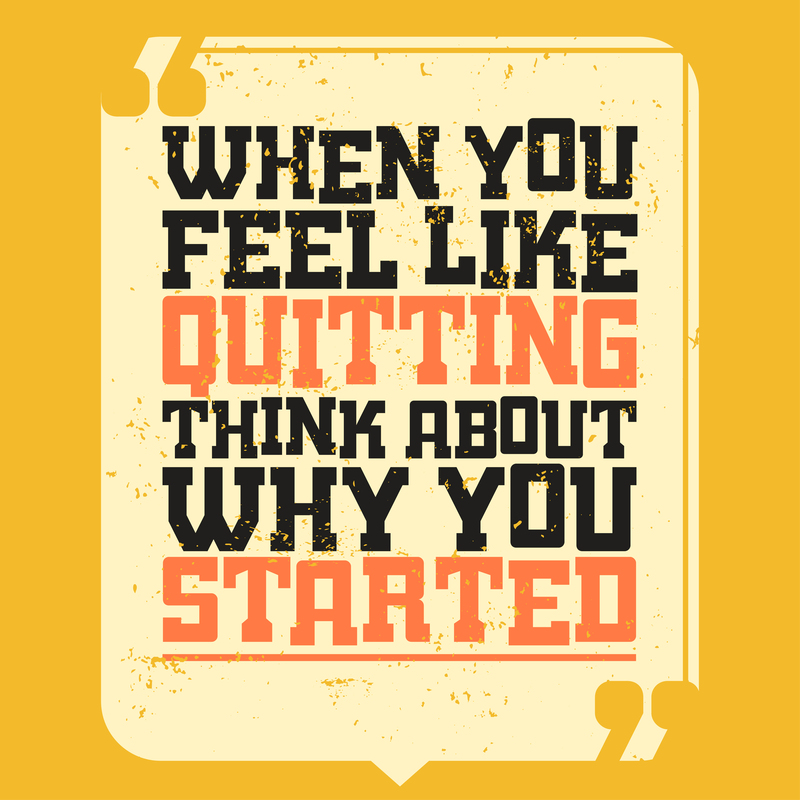 Is it possible that you are getting value back, and much more than the value you provide? Again, I can't know the answer to that, but I have a feeling that it could very well be true to some extent. You have established yourselves as experts in the field, and I really believe that some of your business success is due to your podcast. Anyway, just my thoughts. Feel free to take them or leave them. All I would say is keep up the good work and thanks for your plug-in reviews. I love your show, thank you for all you do! I wonder if you could talk a little bit about managing the media library. I know it's a huge topic, but here's my situation, maybe you could use it as an example of what pickle we can get ourselves into when we don't know what we're doing at first. Problem #1: many of those photos are over 500k because they are both too large in pixels (some 1600x which makes no sense to me now!) and I didn't use TinyPNG for 2 out of the 3 years I've had the site. Problem #2: I am not certain all of those photos are legal to use. I know how to find legal photos now (Unsplash and Pixabay as well as my own photos), but I didn't 3 years ago when I started. I'd be happier starting over with photos I am sure are legal. Problem #3: Some of my posts have a dozen or more photos in them, which is unnecessary and really slows things down to a crawl. I can just delete photos from the posts, but will it be enough? I would love to “start over” with a leaner and cleaner media library, but I'm not sure what is the best way to go about that. Question 1: If I remove the photos from the posts they'll still be in the media library. To speed up my site, is it important to remove the photos from both the posts and the media library, or is it enough to remove the photo from the posts? Question 2: Is there a plugin that will help me remove photos from the posts AND the media library at the same time? I searched for one but couldn't find anything like that. Question 3: I saw the “unattached” filter in the media library, but I know for a fact that some of those photos are used on the site, so I don't understand what “unattached” means. Can you clarify? Question 4: When I insert a photo into my post, I have the option to insert it as full size, medium or thumbnail. Leaving aesthetic questions aside, will my post load faster if I choose thumbnail rather than full size? Question 5: Can I create a completely separate media library for the same site where I'd only add photos that meet my new criteria and use those photos instead of the ones from the old media library? If I did that, eventually I could delete the older media library and solve all my problems all at once. Thank you so much, I really appreciate your help! Maybe I should hire somebody to do this for me, but I am a firm believer in learning how to do things myself so I don't repeat the same mistakes over and over again. Its that time of year again where we think about our taxes and if you sell any amount online you know that in some areas you need to be collecting Sals tax for us canadiens its GST, HST and PST and it all need to be reportedd on a regular bases (also paid). This plugin make that an easier job by showing you the total amount collectedd for each tax. This is looking to be something we might deploy on WPAZ, it allows you to setup demos of plugins so people can test them out, it is self cleaning and you can add ways for people to buy the plugin. This is looking to be a pretty great sales tool for developers. Encourage your shopping site visitors to spend more money, if you offer free shipping after they spend so much this plugin will help encourage that behaviour. It show in thier shopping cart, mini-cart and checkout page how much more they need to get to free shipping. Add this you never know it just might boost sales. This is a premium plugin priced at $24. Well worth the small cost. This plugin is a powerful ticket system developed to work within the WP Admin area. Each help request sent to your support email becomes a helpdesk ticket. Categorize and prioritize your tickets and assign them to the correct people in your team. There is no conflict between multiple agents responding to the same ticket, as everyone in the support team (admin users) can see who is working on each ticket as well as the status of each ticket. This is a premium plugin priced at $49. WP All Import Pro makes it possible to easily import data from your XML or CSV file to fields that are specific to your theme or plugins. An SEO plugin might have fields for keywords, page titles, and descriptions. A real estate theme could have fields for the property price, photographs, and number of bedrooms. The technical term for these fields is “Custom Fields” or “post meta” – plugins and themes use Custom Fields to store data specific to their needs. WP All Import Pro automatically detects the names of the Custom Fields used by your plugins and themes, so you don’t have to guess, ask the author, or look through the code. I paid $250 for the Elite Bundle of the entire WP AllImport and All Export suite. It also included the Custom Fields importer and the add-in for importing products to WooCommerce. In less than 90 seconds after install, I was already uploading a file straight from an Affiliate Network. I used a boating store for a test. It not only added all the proper images, product names, categories and prices, but it had specific rules in which I could format the import. Then I could even save the import template. What's really beautiful is that I can upload or link a new csv file (or zipped file) and it will remember what is already there and only update what you tell it to. If it is missing out of a secondary file, you can have it also remove the product. Amazing software that I was happy to pay full price for. With the ending of a 17yr relationship and marriage over the cooming months I will have more time for the show, the next few weeks will see transitions in many things about the show, Discuss how I really want this show to be fully Value for Value and not have to cater to any advertisers at all.